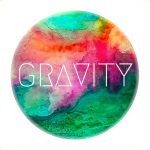 Gravity is our Friday night youth community for years 6-9. Gravity runs from 6:30pm – 8.30pm every Friday during school term at Riverwood Anglican. Join us as we hang out and have fun, share dinner and learn about Jesus. Check out Gravity’s Facebook Page! Every Sunday morning during our 10am Family Service, we have a Youth Bible study for youth in Year 7-10 at school. The group starts together with families in the service, then breaks off into a Bible study group. The group then joins the families for morning tea. For more information about our Youth Ministry contact Tara Booker on 02 9153 7624.